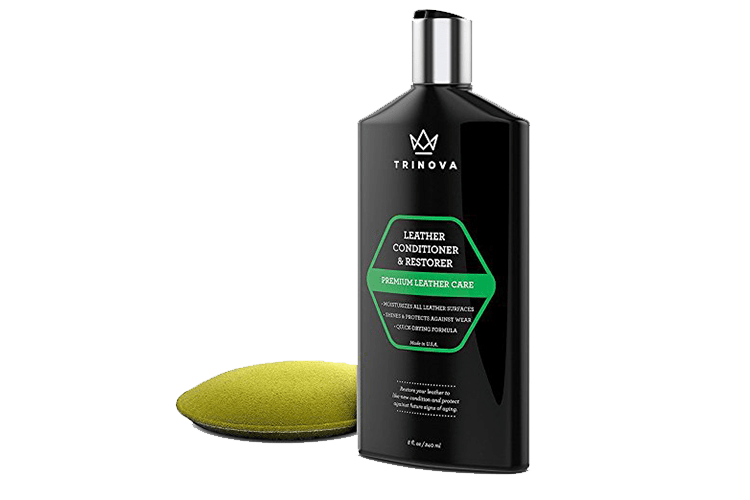 TriNova Leather Pack | Gold Eagle Co.
Keep your leather looking new with TriNova Leather Pack – a pack of premium products that will soften, strengthen, and moisturize neglected leather. Safe to use on all types of leather, vinyl, and plastic surfaces. 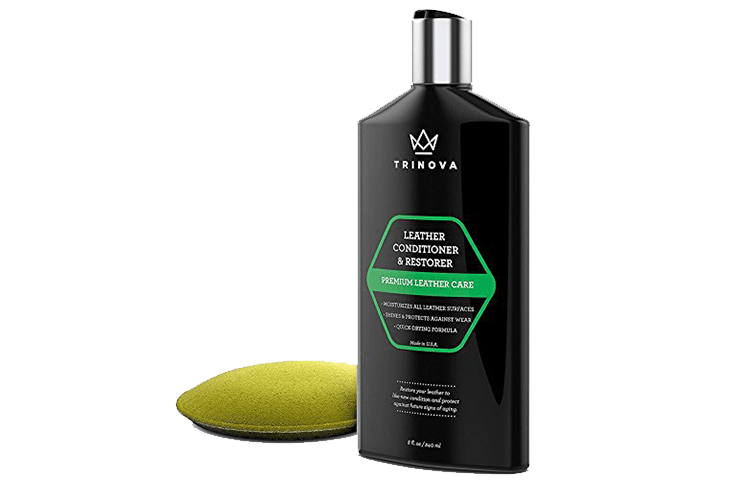 Leather dries out and eventually starts to crack if not cared for, our Leather Conditioner and Restorer will provide the needed moisture. Soften, strengthen, and moisturize neglected leather with no need to scrounge for a clean rag or old t-shirt. 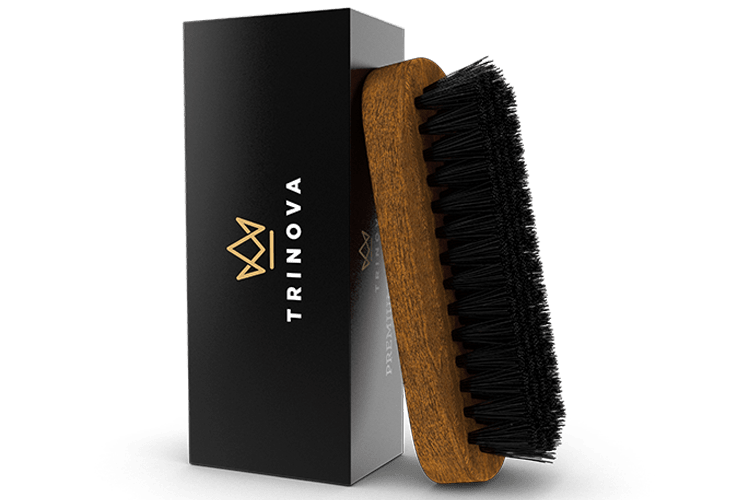 Soft bristles get inside seams, creases, and other hard to reach areas to make sure no dirt or grime is left behind with this Leather Brush. 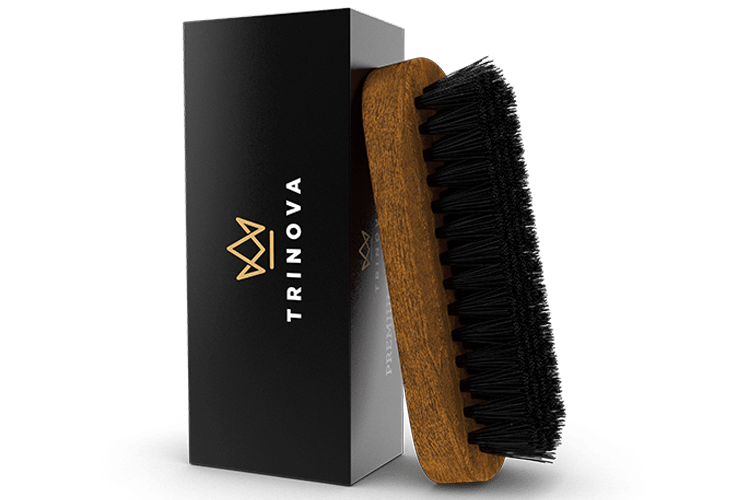 Our brush is easy to hold, and the size allows for use in cramped areas like car interiors or joints of leather furniture. 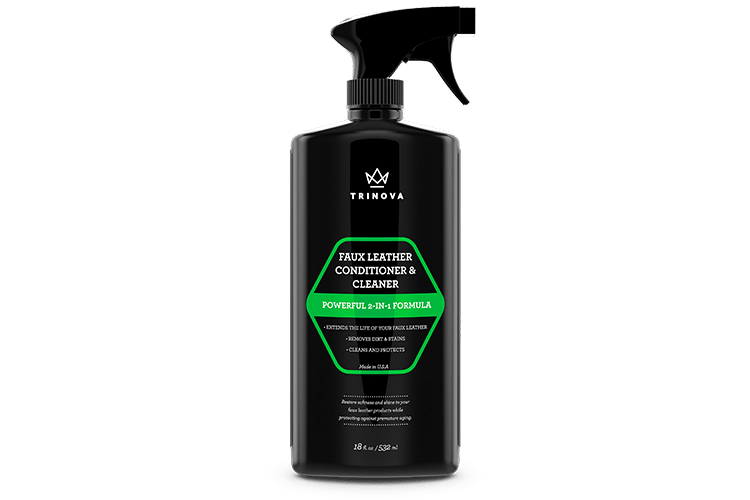 TriNova Leather Cleaner is a new premium cleaner that deeply penetrates the leather pores to remove dirt, grime, and oil. 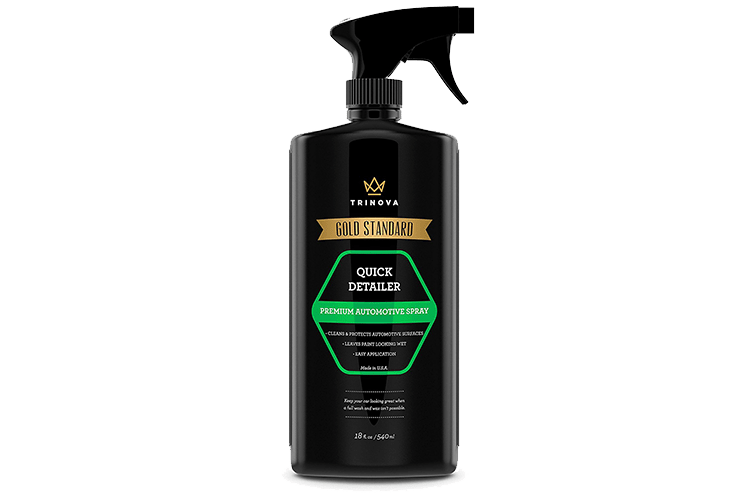 It is a safe formula that can be used on all types of leather, vinyl and plastic surfaces. 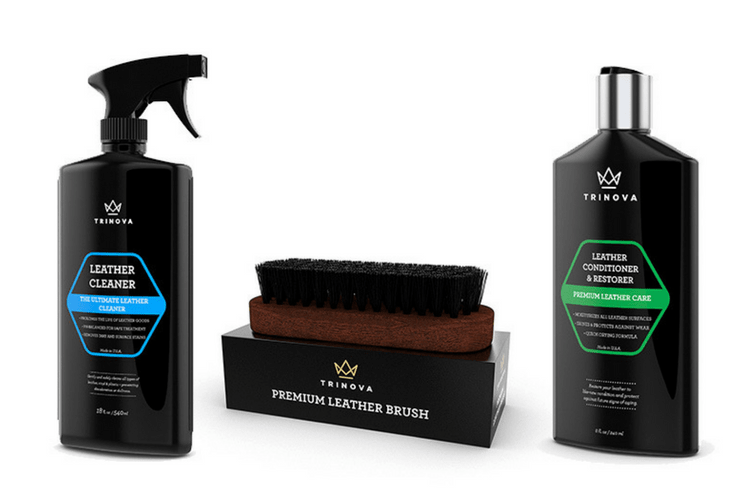 Unlike other leather cleaners, it does not contain any harsh detergents or toxic ingredients that dry out the leather and actually accelerate its aging process.